On 3rd July 1953 a new era commenced in the Queensland Railways for on that day the first diesel electric locomotive of the 1200 class entered service. Having been built in England, the class soon became known as "Chums" or "Chummy Locos". Sorry. We're currently sold out of this item. We hope to have them back in stock soon. This hard cover, 120 page book documents the restoration of C17 locomotive No.45 built by Evans Anderson Phelan in Brisbane in 1923. An exceptional presentation of images of locomotives and the conditions in which they worked in the Sugar cane industry of Queensland. Captions are kept to a minimum, allowing the large format colour reproductions to tell their own story. Little information was supplied with many of the origina1 35mm slides, but with the help of some of our own records and consultations with various photographers we have been able to provide reasonably detailed and, hopefully, accurate captions. Brisbane's Trolley Bus system was beset with adversity almost from its inception and never rose to any great prominence in the overall transport scene in the city. It was always the poor relation of the highly popular and successful tramway system. Over the years, steam train tours have formed the major part of tours run by the ARHS-QLD, but extensive tours have also been mounted allowing participants to visit some of the most modern and spectacular railway installations in the State. This series of books published by AMRA records the history and operation of the railways of Queensland visually. In some time past, for future generations. No doubt many memories will come rushing back from the excellent selection of photographs in this fine publication. Welcome to the fourth edition of our pictorial tribute to the Railways of Queensland. Our team have assembled another fine selection of illustrations, covering, a wide range of rollingstock and infrastructure. We have increased the space devoted to photos of the 'general railway scene' in preference to portrait shots of one subject that are commonly seen in other books. Cane tramways are also receiving more space. Welcome to the fifth edition of our pictorial tribute to the Railways of Queensland. Our team have assembled another fine selection of illustrations, covering a wide range of subjects. 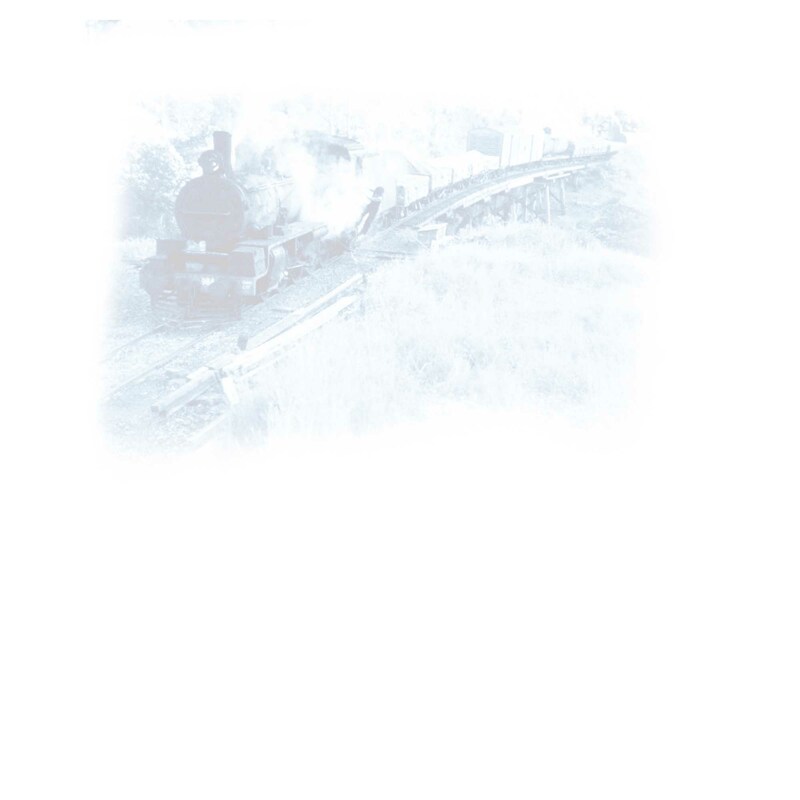 Following on from the format of the previous edition, emphasis has been placed on photos of the `general railway scene'. Other features in this book include a study on wagon advertising, two pages of Edmonson card tickets, cane tramways and unusual wagon loads. A wide range of locations throughout Queensland are again represented. We are sure you will agree that Volume 5 further enhances this excellent series documenting the `Railways of Queensland'. This is the sixth instalment in a series of books published by AMRA recording the history and operation of the railways of Queensland visually, in some time past, for future generations. No doubt many memories will come rushing back from the excellent selection of photographs in this fine publication.